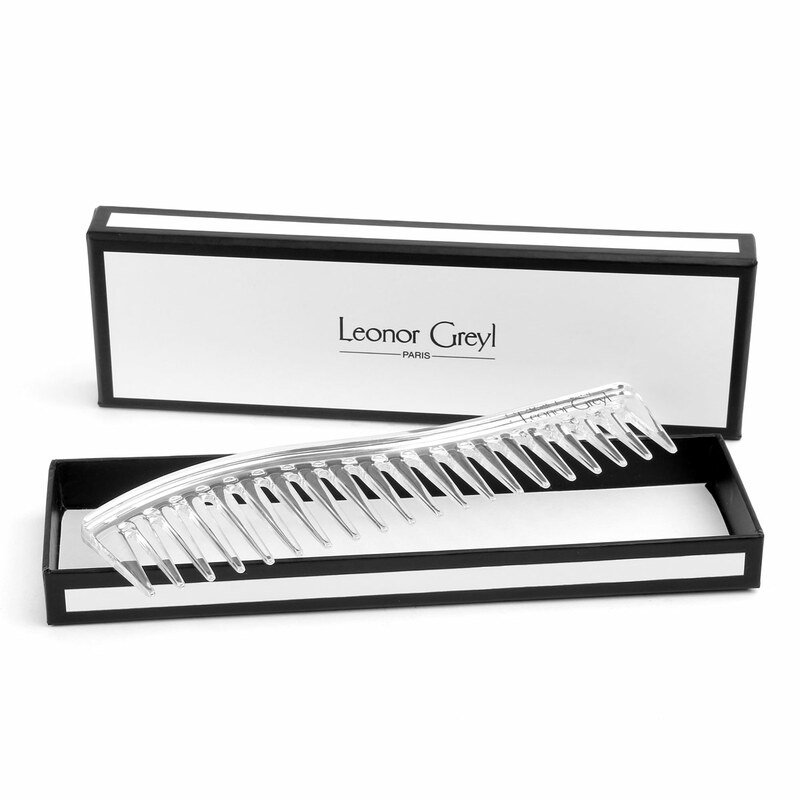 Leonor Greyl’s high quality, specially designed comb with optimal teeth spacing gently detangles hair without snagging or damage, now packaged in a beautiful gift box. For all hair types and lengths. It is a must product for proper conditioner and masks application. Who knew that a comb can be so different. Is it a secret design? My least favorite thing to do was to comb hair in the shower after conditioner was applied. Problem solved with this detangling comb. My hair is now really able to get all benefits of other wonderful Leonor Greyl products. Thank you! You would never think that a comb could make such a huge difference! It is so kind and gentle to my hair. I love this LG comb. I’ve thrown away all my other combs. It is the only one I will let touch my hair. Being very careful not to stress out your hair each and every day is very important in great hair care.